I have heard so much about Bluebird Tea company and have always wanted to try some of the beautiful sounding teas they do but I think they are always harder to buy online as you want to make sure you like what you are smelling and how you interpret it to taste. before you go ahead and buy it. Today was the perfect way yo experience all of this in store and learn more about what they have to offer. We were greeted at the door and was lovely to go into the store and have a look around. We were shown where we could try tea cocktails, could look around the products and even had a second downstairs where we could blend our own tea and screen print on tote bags.We headed over for a cocktail and I tried the blue raspberry one, if you want to see how amazing it looked, pop over to my Instagram, and I promise you it tasted even better than it looked. After a drink we headed downstairs to mix some tea and see the screen printing. I mixed a green tea with chai and spices to see how it turned out. I haven't tried it yet, but I am excited to. I didn't screen print a bag, but I did get a tote bag with my goody bag so I am still happy to have one. 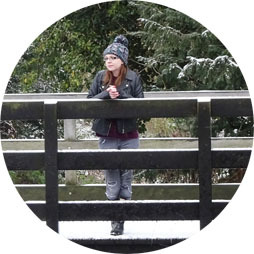 My good friend Hayley, over at Bunnymoonstone, screen printed a bag and it looked so much fun so if you do want to see you can find it in her vlog once its live. Seeing all the blends of the tea and getting the smell them all and sample some of them was the best experience ever. 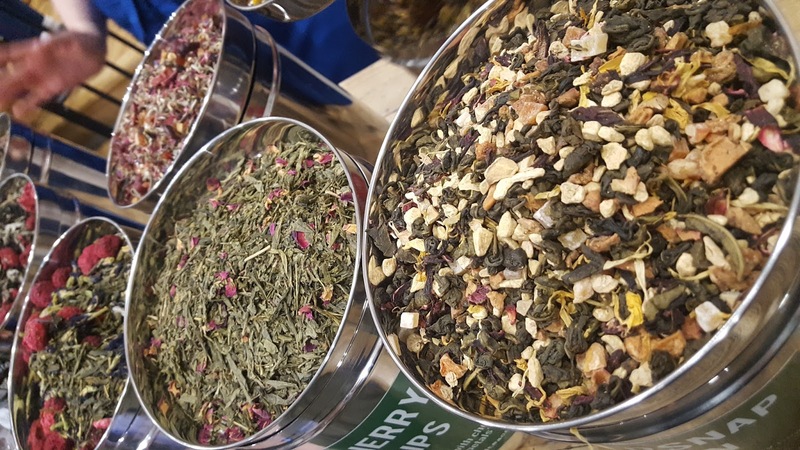 I love tea and flavoured teas in particular and I can honestly say I have a wishlist as long as my arm now, and I want to go back and make a proper shopping experience of it. I really need to go back and I cannot wait to take my mum as she will love it. The teas are all stored in these tin canisters and look so beautiful when you see the blend inside the tin. The scents are so overwhelming and they are so strong and powerful that they really do smell the way they should. I am so excited to stock my cupboard up in the next few weeks. 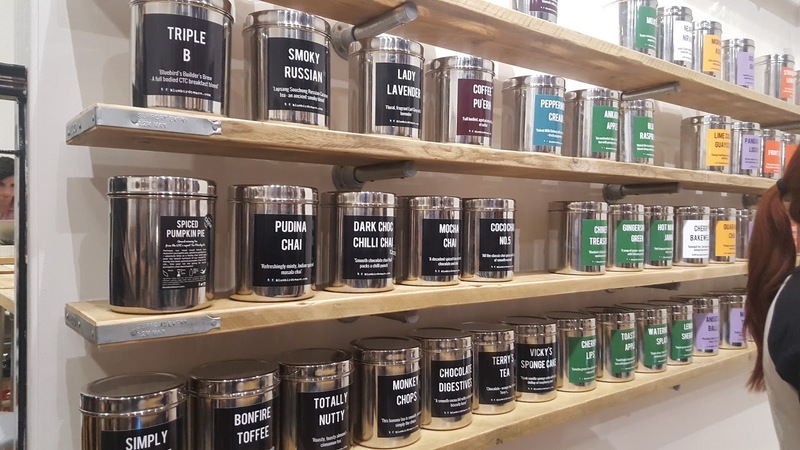 As you can see above, the tins of tea are so superb to look at and they really do look a work of art with how they are blended. We got to meet the owner Krisi and it was such a great experience. One our way out of the event we were talking to Krisi and it was so lovely to meet her and get to chat about what we do. Krisi insisted we couldn't leave without a take away tea as well as our goody bags, which I will open on video soon along with a few others. 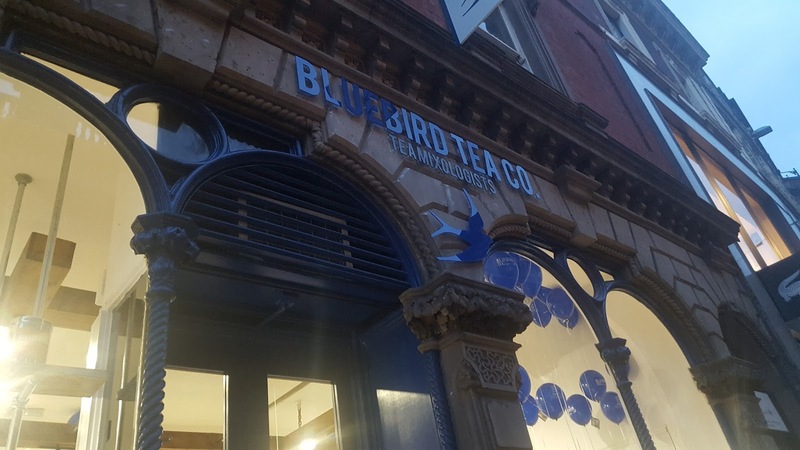 I had such a lovely evening and I honestly think it is a place I will be going regularly when I am in Nottingham city centre as I really do love a good cup of tea! 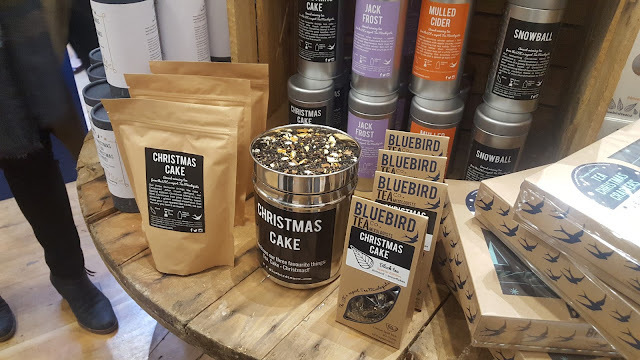 Let me know if you have tired Bluebird teas and which is your favourite, and if you have seen the Christmas range which of them you are most excited to try!